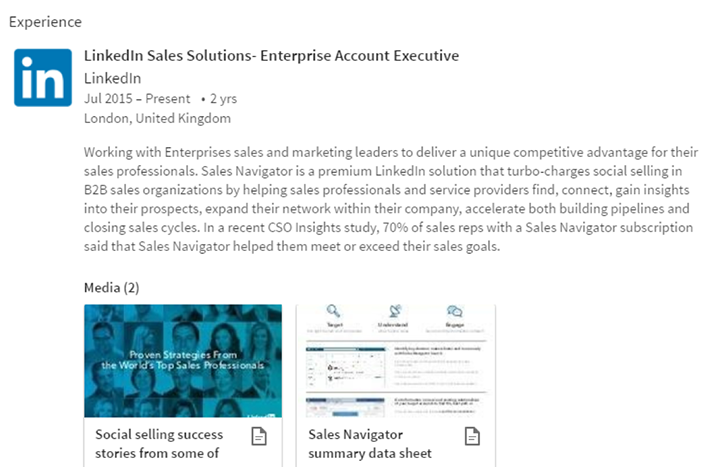 Learn about the types of sales pitches that work and don’t work in the social selling era. 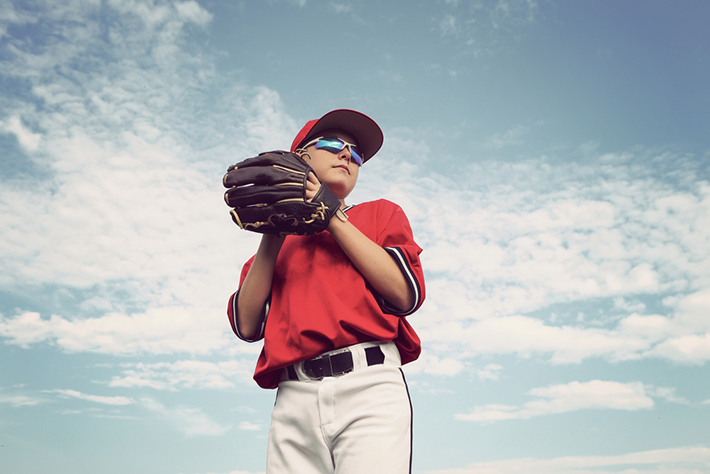 As is true in so many aspects of selling, the term “sales pitch” has a sports analogy. A sales pitch is what you “throw” at the prospect just as a pitcher throws a ball to a batter. However, while pitchers hope the batter will swing and miss, your hope is that the prospect “connects” with your pitch and agrees to take the next step and, ultimately, make a purchase. The concept of the sales pitch has evolved to keep pace with changes in buyers’ expectations and behavior. Today’s buyers don’t respond well to a canned, scripted, one-way pitch that’s focused on explaining your company and the value of its offerings. Instead, they expect to be engaged in a way that helps them navigate the purchase process and arrive at the best decision for them and their company. Your goal is to strike up a conversation, not seal the deal with the first interaction. Besides, today, most sales pros aren’t even present when the first prospect interaction occurs. Start by recognizing that your sales pitch is “always on” – and that the most effective sales pitch is no pitch at all. Prospects are searching for and downloading information, following conversations online, and jumping into and out of discussions during their buying journey. They do so at all hours. To make sure you’re one of the resources they find, you need to be present in the places your potential buyers spend time. I know it’s not humanly possible for you to be everywhere at once and at all hours. But that’s the beauty of social selling. As a social seller, you establish and maintain a professional brand on social channels. You then actively participate in online discussions and share information and advice freely and frequently. For example, if you notice a discussion on LinkedIn that’s relevant to your brand and industry, share your input without any pitch or product mentions. Your participation demonstrates your interest in being connected and staying current. It makes you appear approachable. This is essentially the new “sales pitch.” It’s tailored to fit the channel and context of the topic at hand. It’s also timed for relevance and focused on sharing insights. By “listening” for the right moment to join a discussion and offer your thoughts, you become a natural, valuable part of the online conversation. Do this well and you will position yourself as a subject matter expert, leaving a trail of breadcrumbs online that leads back to you. 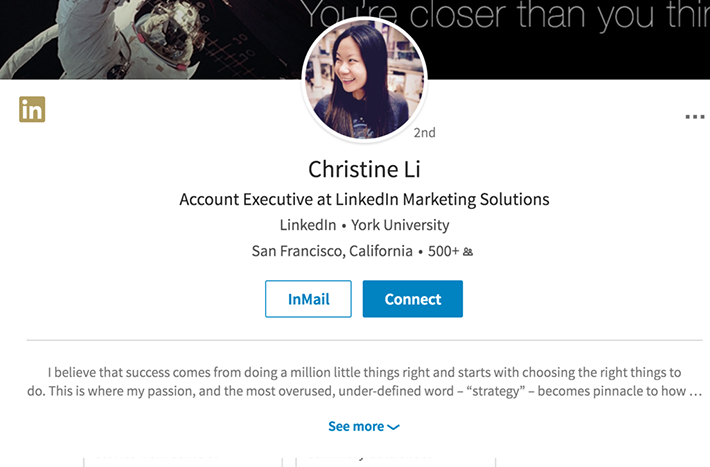 In most cases, that trail points to your LinkedIn profile, which showcases you as a trusted go-to resource who can advise with relevance. And it turns out that more than 62% of B2B buyers respond to salespeople who connect with relevant insights and opportunities. Despite your best efforts to be everywhere, not every buyer will come to you. You’ll need to proactively do some pitching as well. And while it’s important to have a finely tuned sales pitch, it’s equally important to fine-tune your personalization of that pitch. For example, even the best sales pitches delivered via cold outreach typically fall flat. It’s no surprise – few of us are receptive to strangers. Warm up your outreach with an introduction from a mutual connection. Or by leading with an insight that demonstrates your understanding of your prospect’s situation. In other words, give the prospect a reason to give you some of their time. It’s simple, really: Demonstrate that you’re willing to go the extra mile to garner engagement, and your sales prospect will be more likely to engage. Daniel Pink, author of To Sell is Human, suggests that sales reps pull together two different outreach emails: one useful and one intriguing. If you know the prospect is feeling a time crunch or is already drowning in a deluge of information, stick to the email with the useful subject line. If the prospect is early in the buying journey, use the email with the intriguing subject line. Whichever one you go with, be sure to engage with relevance and context by making the message specific to the prospect and situation. Once you’ve earned the prospect’s attention, respect their time by continuing to observe the principles of modern selling. In a nutshell, it’s about subtlety and patience. While there’s certainly a time and place to truly pitch your proposed solution to the prospect’s problem, it should be a natural step in building a trusted relationship with the buyer. The best way to pinpoint the right time for your pitch is by asking questions and listening. Remember: you’re trying to engage in a two-way dialogue. Your part in that is to ask questions, make the prospect feel deeply understood, and then serve up relevant information and advice in response. That could mean offering to help overcome internal resistance, and even simplifying the purchase process. It also means making sure to address the concerns of everyone on the buying committee. Once the stars are aligned, it’s time to craft a fitting pitch. Remember, buyers don’t respond well to a standard pitch, especially not one focused on your company and its offerings. Customize each pitch to address the buyer’s particular situation and need (which you’ve taken time to discover), and inspire them by painting a picture of their new and improved world once they’ve solved their problem. Don’t forget that a good portion of prospects never end up signing on the dotted line because they stick with the status quo. If you sense that’s the situation facing you, find ways to challenge the status quo in your sales pitch. Perhaps you need to make the prospect feel comfortable in their decision by showing they are in good company because so many in similar roles, companies, and industries have succeeded with your solution. Don’t just tell your sales prospects about the pending disadvantages of being a laggard, demonstrate it with anecdotes and data. Make them feel the pain of the status quo. That may come off as harsh, but if you firmly believe that change is necessary for your potential buyer to succeed, then the harshest outcome is them sticking with the status quo. Prospective buyers are looking for answers online. Be the one who provides those answers and you can essentially ditch the pitch as you know it. Instead, build trust and credibility that makes prospects open to your outreach and eager to seek you out. 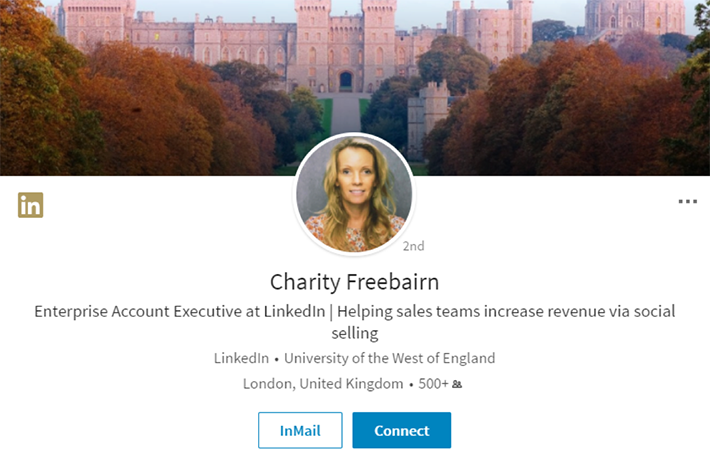 Your LinkedIn profile is essentially the ultimate “sales pitch.” It’s your social brand that speaks on your behalf. It’s an effective door opener – that initial pitch of yourself that makes prospects open to working with you. Succeed here, and you’ll earn the right to deliver that solution-oriented pitch down the road. Below you’ll find a few winning profiles for inspiration. 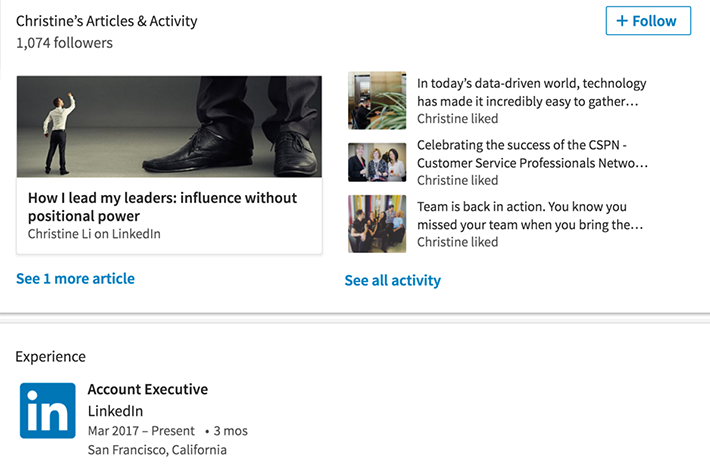 Notice how these sales professionals cater the headline, summary, experience, and even media in their profiles to potential customers instead of recruiters, and how their message is more compelling because of it. Today more than ever, the seller’s job is to demonstrate credibility and deliver value, not simply pitch products. Embrace this principle and apply best practices for the modern “sales pitch,” and you’ll see it pay off in new opportunities, closed deals, and increased referrals. To learn more ways to engage modern buyers, download our eBook, Getting Started with Social Selling on LinkedIn.